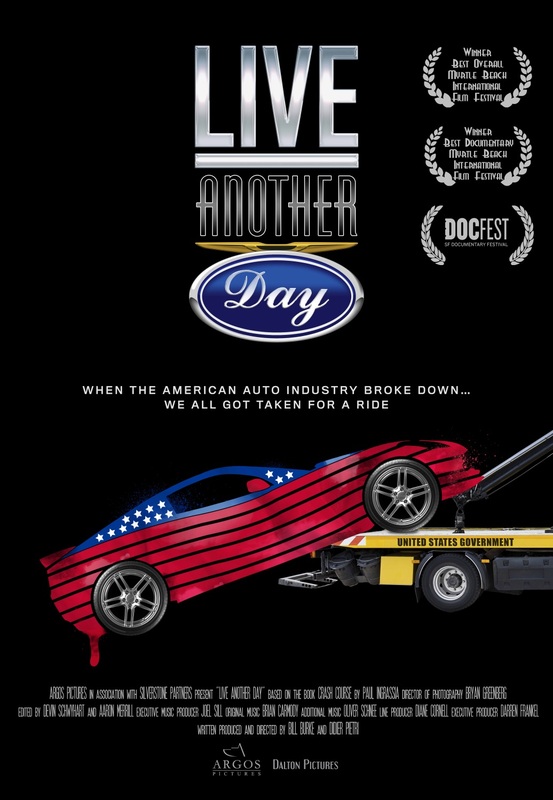 Based on the book Crash Course, by Pulitzer Prize-winner Paul Ingrassia, LIVE ANOTHER DAY reveals for the first time the truth behind the collapse of General Motors and Chrysler and the government rescue of these companies. The product of years of extensive research and interviews with the major players in this drama, the film shows how the American car industry evolved to become an oligopoly (the “Big-Three” automakers) engaged in an irrational battle with a labor union monopoly (the UAW) until ultimately the companies lost the ability to focus on their customers. Difficult decisions to address structural burdens like crushing healthcare and pension liabilities were dodged by all parties who preferred simply to “live another day,” rather than tackle the problems they faced. This unwillingness to act, when combined with the housing and financial crises of 2008, left the once-almighty automakers with no option but to plead for a lifeline from the United States Government. This film picks up where The Big Short left off, showing how the housing crisis and the Lehman collapse led directly to the auto industry’s downfall. The Government’s intervention came with its own set of controversies, from protecting a political ally by removing the focus on the UAW as a source of the auto companies’ problems, to pushing the boundaries of long established rules of bankruptcy and corporate governance, to giving away an American industrial icon, Chrysler, to a troubled foreign company, Fiat. In the end, the bailout cost US taxpayers an estimated $10-$15 billion. By exposing this important drama in a new light, LIVE ANOTHER DAY is sure to generate a new round of conversation and controversy. In LIVE ANOTHER DAY, these remarkable events are described by the key players themselves: “Big Three” CEOs, the UAW President and union members, senior members of President Obama’s Automotive Task Force, bankers, journalists, analysts, former Michigan Governor Jennifer Granholm, Tennessee Senator Bob Corker and even world-renowned car aficionado Jay Leno. We see some of the interviewees discuss the first car they owned.